Making my place in this world. 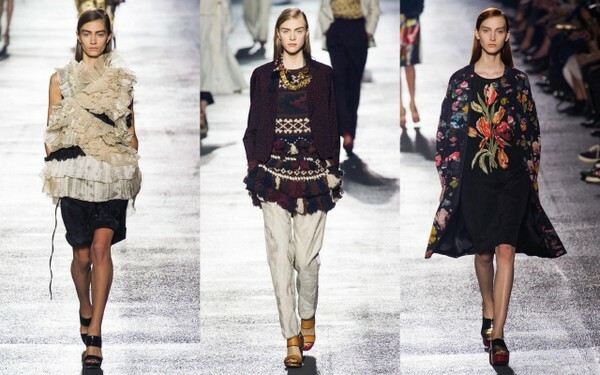 I smiled and smiled and smiled while I was looking at the Spring 2014 RTW show from Dries Van Noten. I got that feeling that stirs me when I’m looking at something inspiring and humbling at the same time. Such Beauty. The collection is soulful, powerful, and feminine. There is adornment and restraint. It takes my breath away. The collection mixes influences, cultures and craft. And shows some gold brilliance. And I want to look just like this. Yes, I am really going today! 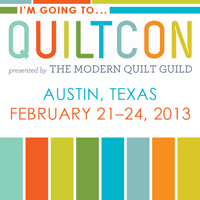 This week will be the first ever QuiltCon presented by the Modern Quilt Guild. Modern quilters will converge upon Austin for lectures, workshops, information, fun, and friendship. The talent at this event is overwhelming. I am looking forward to reuniting with friends, attending some amazing lectures, a workshop, and learning tons! Bill Kerr and Weeks Ringle (Modern Quilt Workshop and Craft Nectar), Yoshiko Jinzenji (uber inspiring), Denyse Schmidt, Amy Butler, Rachel Hobson (I’m taking her Redwork workshop), Heather Ross, and so many more!!! 2. I am a proud adoptive mom of 2 almighty kids who systematically blast my To Do List to bits each and every day. 3. Two of my biggest dream have already come true: traveling to Paris as a fashion designer and becoming a Mom. So anything else is pure delicious icing. 4. I traded my NYC fashion life for a life in Michigan (the land of my birth) with my two kids. I live in my very first house. What? no super to come fix things? I have to shovel snow? Buy a lawn mower? I love it! I can just walk out my back door and cut flowers for my mantel! And nobody pounds on the ceiling if we are too noisy. 5. I like strong coffee, shopping, country music, Pinterest, running, make up, quilts, Bertoia side chairs, Dries Van Noten, and making stuff. Alas, the Paris Fall 2012 RTW shows are done. There was so much to love. These are some of my favorite looks. Isabel Marant: Gorgeous lace. Strong, feminine, and fun. 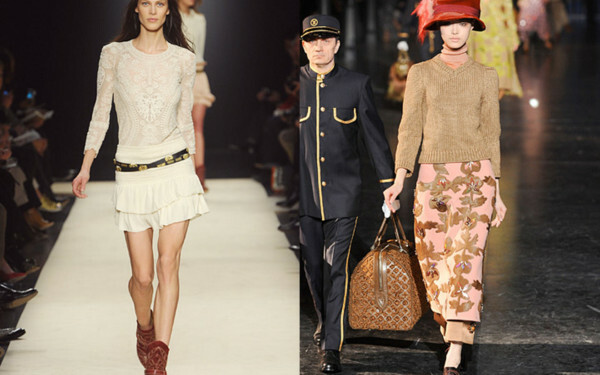 Louis Vuitton: The hat, the bag, the look. So charming and quirky. Vanessa Bruno: Just so very chic!!! Celine: Proportion. 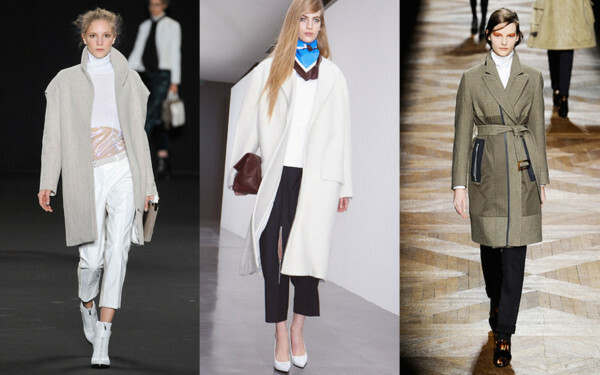 Perfect white coat over cropped pants. The accent of the cerulean blue scarf is so fresh. 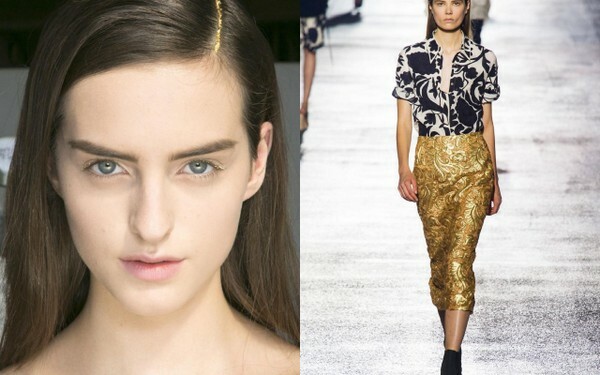 Dries Van Noten: Elegant and perfectly tailored. 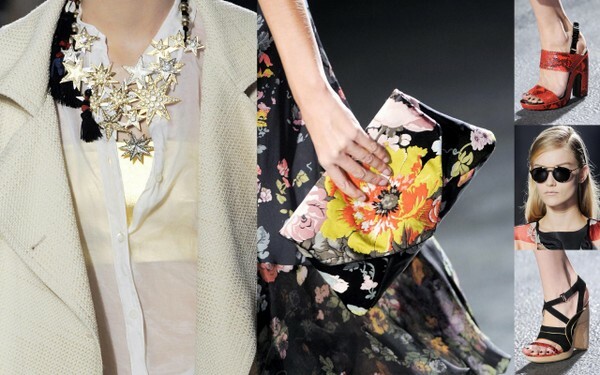 Commuun: The unexpected combination of a peplum jacket over a full skirt is so modern and lovely. Carven: This cut out lace effect makes a drop dead gorgeous little black dress. Giambattista Valli: I do love a shirtwaist dress. This one has a surprise at the hem. It’s no secret that I do love patchwork. Mainly, I love it on quilts and throws and pillows. I haven’t been a big fan of it on apparel. 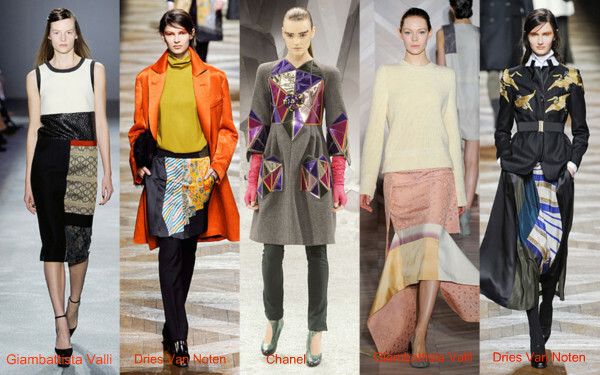 So, as I was looking at the fall 2012 Paris shows, I noticed that some of my very favorite designers were on the patchwork wavelength. Patchwork on apparel done by these masters of design….yes! Images by New York Magazine.